Extra virgin coconut oil is, like olive oil, extracted through a completely natural process, without any chemicals diminishing its nutritional value. Two kinds of processes deal with extracting the oil from the coconut and they are called wet milling and quick drying. During wet milling, the coconuts are soaked into water so that they would become softer and the oil could be extracted from them. This is done through a process called fermentation. On the other hand, quick drying is a completely different way of obtaining coconut oil. What it comes down to is removing the coconut shell in order to dry out the fruit and then squeezing out the oil from it. Extra virgin coconut oil is known to do wonders for the hair. It can basically take care of any problem of the hair, starting from the issues on the scalp, like dandruff, to issues like split ends. Its nutritional substances provide the hair with all the nutrients it requires, managing to completely revitalize it and give it its natural glow and smoothness. It’s greatly recommended when the hair’s frequently been in touch with different chemicals or devices used to either straighten it or curl it. 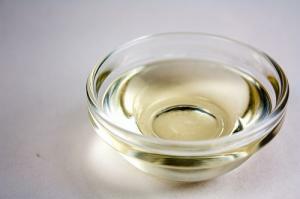 Extra virgin coconut oil does not depend on the hair type, so everyone can use it. The good thing about it is that it’s completely natural and that’s what makes it so efficient. Not only is it very good for the hair, but extra virgin coconut oil is also very beneficial for the skin. Applying extra virgin coconut oil to the skin instead of the products that are normally used to provide the skin with moisture will bring multiple benefits. First of all, extra virgin coconut oil gives the skin elasticity which it tends to lose from being constantly dried out from lotions. It is also very good protection from the growing damages that the sun can cause and it fights of the infamous free radicals quite successfully. One of the main benefits of extra virgin coconut oil is that it provides the body with the protection from heart diseases and issues with high blood pressure. This is because of its high content of antioxidants. It also quite good for the skin, and apart from successfully preventing premature aging of the skin, it can accelerate skin healing in the case of injuries. how often do you wash your hair when running/exercising? supplier of Luo Han Guo P.E. 80% Mogrosides. extra virgin oil-can U really tell the difference?